Practical EHS Tips, News & Advice. Updated Daily. Popular Serpent® Safety Helmet Now Available in Full Brim Version! November 2018 – The Serpent® safety helmet family by Gateway Safety now includes a full brim version! 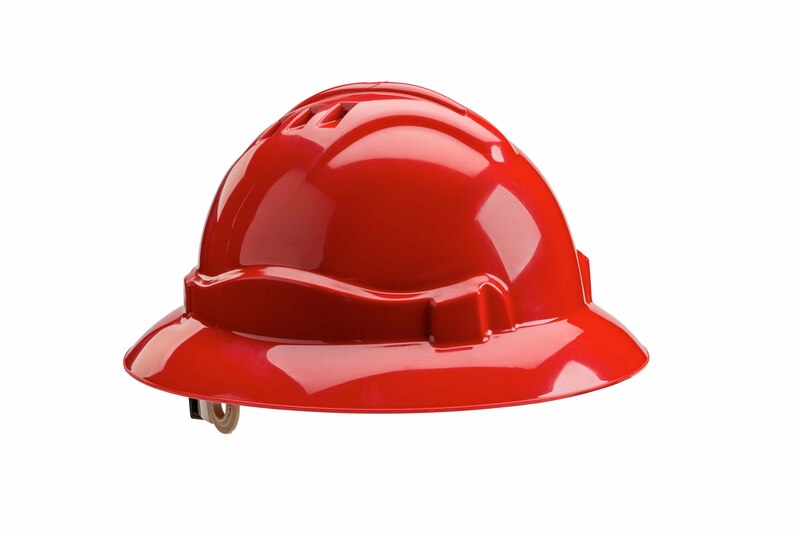 The new product extension features the same sleek design as the original cap style safety helmet, with a wraparound brim to provide 360 degree sun and rain protection for workers in the field. Both vented and unvented models offer unique benefits. The vented version is great for those working in hot environments, as it allows heat buildup to escape through the vents in the shell, keeping workers cooler. For anyone working around electrical safety risks, the unvented Serpent is an ideal Class E head protection solution. Like the cap style, the full brim Serpent has been independently tested to meet ANSI Z89.1, Type 1. The vented version meets Class C and the unvented model meets Classes E, G & C. Serpent full brim helmets also meet the ANSI Z89.1 voluntary standards for lower temperature, higher temperature and high visibility (hi-viz limon and orange colors). The full brim Serpent is available in white, yellow, red, blue, green, hi-viz orange and hi-viz limon. Gateway Safety is one of the most established and successful manufacturers of personal protective equipment, creating award-winning, cost-effective safety products in eye, face, head, hearing, and respiratory protection. Gateway Safety works hard to produce safety products that workers want to wear—helping companies increase safety compliance, improve the overall welfare of their employees, and reduce the high costs associated with workplace injuries. With many products independently certified to meet ANSI and CSA standards, Gateway Safety ensures its products are safe, durable, and of the highest quality. For more information, visit www.GatewaySafety.com or email marketing@gatewaysafety.com. Our 2019 EHS Salary Guide will help you evaluate if you are being paid a fair amount for the responsibilities you are shouldering—or if you are paying the right amount to retain hard-to-fill positions but not overpaying on others. In this report, we examine how safety culture, leadership and EHS initiatives are driving Operational Excellence at organizations today.​ We uncovered: How does safety culture boost operations? Where could it be improved? How is the effect of safety performance on operational success measured? Find the answers in this free survey report. Under a new set of procedures for contesting OSHA citations issued April 10, which group still has the option to file paper documents? A quarterly magazine offering a fresh look at the strategic issues that challenge safety executives in today’s ever-changing business arena. Read the latest edition today.